When will be Robin of Sherwood next episode air date? Is Robin of Sherwood renewed or cancelled? Where to countdown Robin of Sherwood air dates? 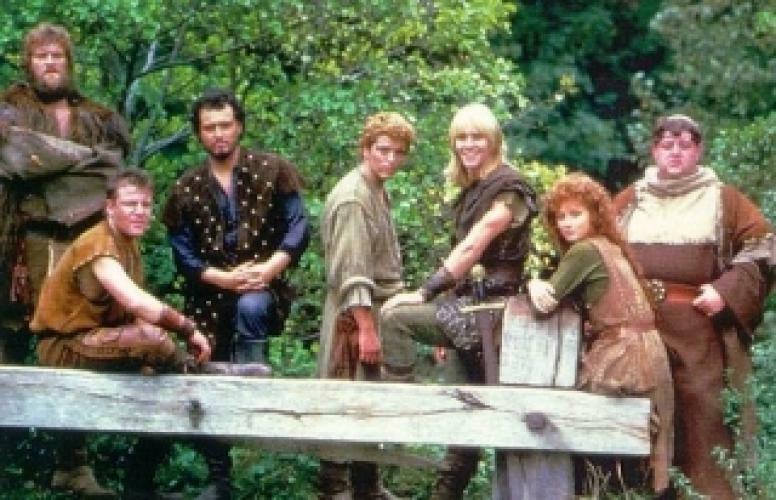 Is Robin of Sherwood worth watching? This acclaimed British series adds a bit of sorcery and mysticism to the swordplay and social justice that make the Robin Hood legend so enduring. Heading up the superb ensemble cast are Michael Praed (Dynasty) as Robin of Loxley, Ray Winstone (Beowulf) as seething-mad Scarlet, and Nickolas Grace (Brideshead Revisited) as the greedy, conniving Sheriff of Nottingham. In the final 13 episodes, Robert of Huntingdon (Jason Connery, Shanghai Noon) assumes Robin's mantle. Shot entirely on location in England, the series also features an award-winning score by the Irish band Clannad. Robin of Sherwood next episode air date provides TVMaze for you. EpisoDate.com is your TV show guide to Countdown Robin of Sherwood Episode Air Dates and to stay in touch with Robin of Sherwood next episode Air Date and your others favorite TV Shows. Add the shows you like to a "Watchlist" and let the site take it from there.